BROWNSBURG, Ind. 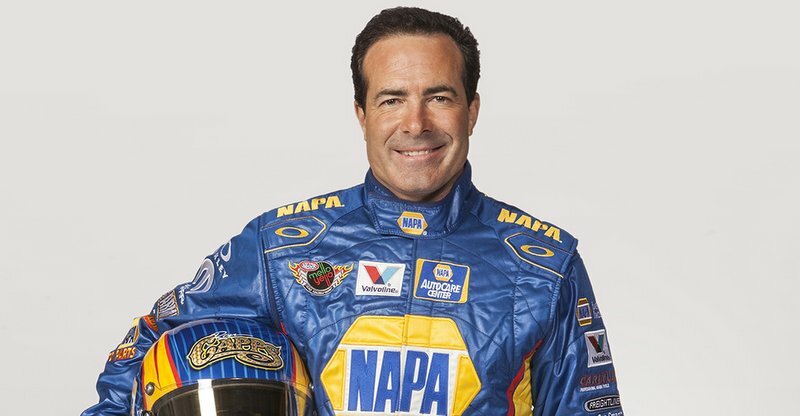 (Feb. 3, 2014) – Kicking off the 2014 NHRA season this week, the Circle K Winternationals marks the start of a milestone season for Ron Capps as it will be his 20th year as an NHRA professional racer and 10th with Don Schumacher Racing. Tradition calls for porcelain or china to symbolically represent the accomplishment, but Capps isn’t interested in getting a figurine or dishes made from those fragile materials. All he wants is the special golden Wally trophy after the 24th event of the 2014 NHRA Mello Yello Drag Racing Series that will go to the Funny Car world champion. That is a prize that has eluded Capps, a 48-year-old California native living in Carlsbad, Calif. Despite four runner-up finishes for the championship, the past 19 years have been filled with events that will define his career as one of the best Funny Car drivers in history. He has won 41 event titles including his first in 1995 driving a Top Fuel dragster that makes him one of only 14 in NHRA’s 63-year history who have won in both of drag racing’s elite categories. He also has driven for a pair of Hall-of-Famers in Don Schumacher, his current boss, and Don “Snake” Prudhomme, who offered his first opportunity with a top-notch team. Capps also has driven for three of the sports’ most well-known sponsors: U.S. Tobacco with Prudhomme before carrying the colors of Brut and NAPA AUTO PARTS since 2008 with Don Schumacher Racing. He’s taken aback when reminded this is his 20th season competing as a full-time professional racer. Capps finished 2013 with three wins in five championship rounds with crew chief Rahn Tobler and assistant John Collins. His resume is nearly full. The only item missing is a season championship. “Of course I want a championship, but things have changed. I just talked with Jimmie Johnson and some of the NASCAR guys about how NASCAR is changing its playoff format again in Cup. And it’s a different world now with our playoff system that started in 2007. It’s not like it used to be because you don’t have to be good all year long with our Countdown (to the Championship). Capps and his NAPA Dodge Charger R/T team got the year off to a good start when they posted the quickest time (4.003 seconds, 320.28 mph) among NHRA’s best Funny Car teams during the Jan. 17-18 PRO Winter Warm-up preseason event at Palm Beach International Raceway at Jupiter, Fla.
For the 2014 NHRA season, the NAPA team intends to improve on last season’s great start when it advanced to the championship round at the Winternationals opener then two weeks later won the title near Phoenix. After Ron married Shelley in 1992, they decided he would devote 1993 to traveling the NHRA circuit full time for one season as a crewman. But while on the road, late car owner John Mitchell allowed him to earn his NHRA competition license in Mitchell’s Montana Express A/Fuel Dragster. The next year he drove a Top Fuel dragster part time for Roger Primm and the duo combined in 1995 to win Capps’ first and only Top Fuel title. That success caught the eye of Prudhomme, who hired Capps to drive for the U.S. Tobacco-backed Top Fueler. He moved to DSR in 2005 where he has won 27 Wally trophies including 16 since NAPA began sponsoring the team in 2008. Last event (Nov. 10, 2013 at Pomona): Qualified No. 12; lost in second round to Gary Densham. 2013 Winternationals: Qualified No. 6; lost in championship round to Courtney Force. NAPA (www.NAPAonline.com) was founded in 1925 to meet America’s growing need for an auto parts distribution system. Today NAPA has grown to more than 6,000 U.S. NAPA AUTO PARTS stores and 64 distribution centers with more than 400,000 part numbers in inventory and more than 15,000 NAPA AutoCare and AutoCare Collision Centers nationwide. Don Schumacher Racing, headquartered in Brownsburg, Ind., fields seven professional NHRA teams: in Funny Car, the NAPA AUTO PARTS Dodge Charger R/T of Ron Capps, 2012 NHRA world champion Jack Beckman in the Valvoline Dodge, 2011 world champion Matt Hagan in the Mopar/Rocky Boots Dodge and the Make-A-Wish Dodge driven by Tommy Johnson Jr.; and in Top Fuel, the 2012 NHRA Top Fuel world champion Matco Tools dragster driven by Antron Brown, the U.S. Army dragster driven by seven-time world champion Tony Schumacher and the Battery Extender Powered by Schumacher dragster driven by Spencer Massey. DSR has won 219 NHRA national event titles and 11 world championships. Follow Don Schumacher Racing at ShoeRacing.com, on Twitter at @shoeracing and Facebook.com/shoeracing.